There are days when I wonder if I’ve wandered into a weird Delhi version of a parallel universe. Or whether it’s April Fool’s Day & I haven’t noticed. Like the story I read in my morning paper today. Please take a second to read it (if you haven’t already) and we’ll chat in a moment. 3,100,000 trees (thats 31 lakh, by the way) to protect us from dust and pollution. Who will look after them, water them, protect them, in a city where people are currently stealing the plants from the vertical green walls that are appearing in the city. 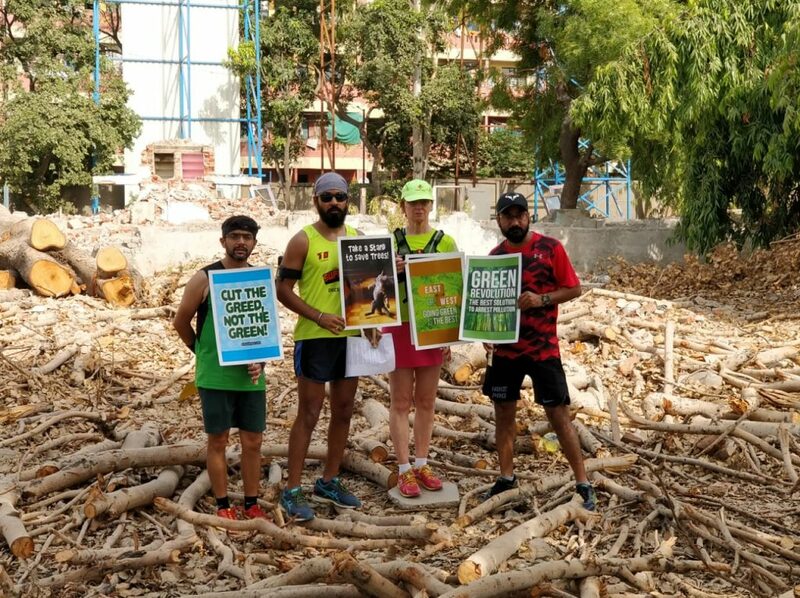 How long will it take these saplings to grow and be strong enough to protect us from the dust and pollution (they specifically say saplings not mature trees, you notice)? Now let’s put this in perspective, shall we? 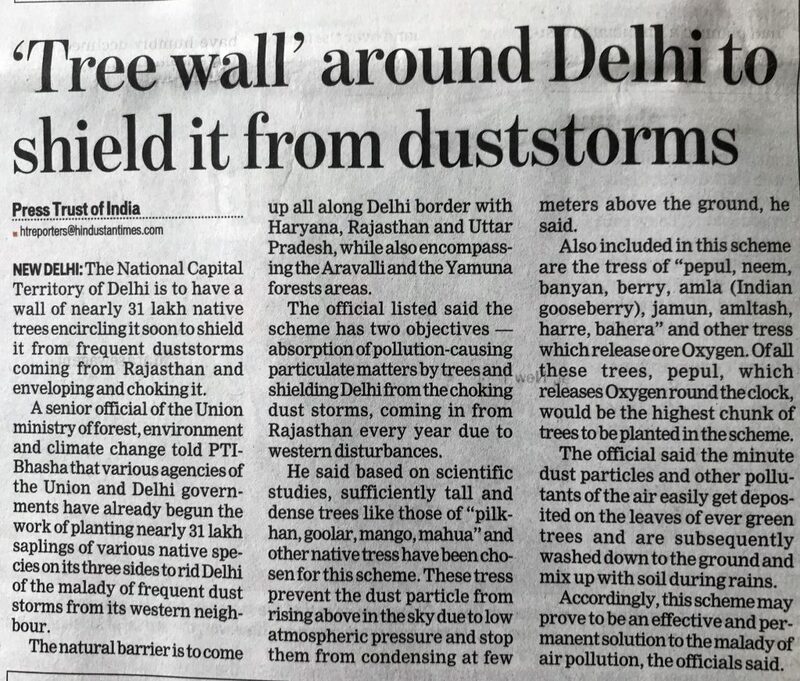 Unless you’ve been on a desert island without any form of news for the past 5 or 6 years, you will of course know that Delhi is one of the most polluted cities on the planet. Sometimes we’re number 1. Sometimes we’re dethroned by another Indian city, but come what may, we’re always up there at the top of any list of the most polluted cities. Those of us who live here know all too well the toxic nature of the air we breathe, which is not only getting worse every winter, but is now heavily polluted even during our summers. Winters used to be the reason to live in Delhi and suffer the brutal summers. Then the winter pollution happened. And now even the brutal summers are toxic. 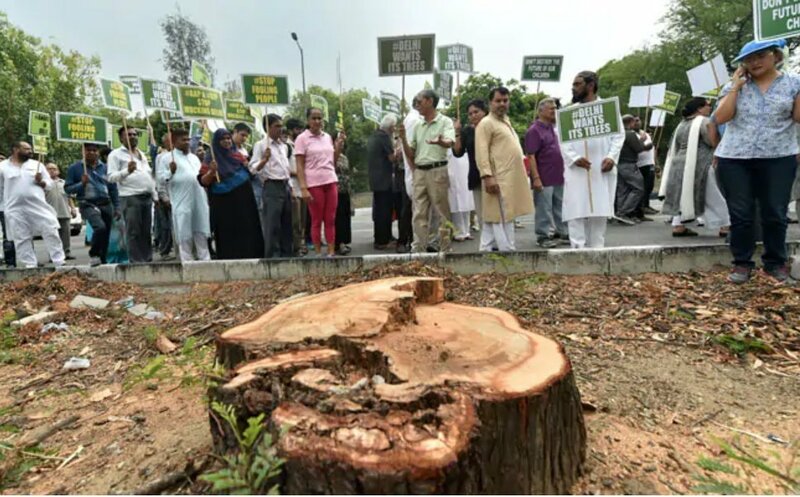 Which is why our esteemed government decided that in the interest of building nice new multi-storey flats for bureaucrats, 16,500 trees in the city should be cut. You don’t need me to tell you what the adverse effects of such lunacy would be, but the words “dust”, “noise” and “pollution” spring to mind. Thanks to what I can really only call people power, most of the death sentence handed down to our trees has been stayed. Some 1500 poor trees have already gone, many of them beautiful old trees. It is too late to save them. I hate to say this, but I always feel as though we should add “for now”, because I still can’t quite believe that the powers that be, the vested interests will – just like that – give up on the massacre of our trees. So what does all this mean for Delhi and her citizens? On the one hand we have a government ready to chop down beautiful old mature trees that are already giving shade and harbouring wildlife, while at the same time blithely talking about planting millions of trees to combat the very dust and pollution that the old trees are already…oh God, I am so irritated I can’t even finish this sentence. 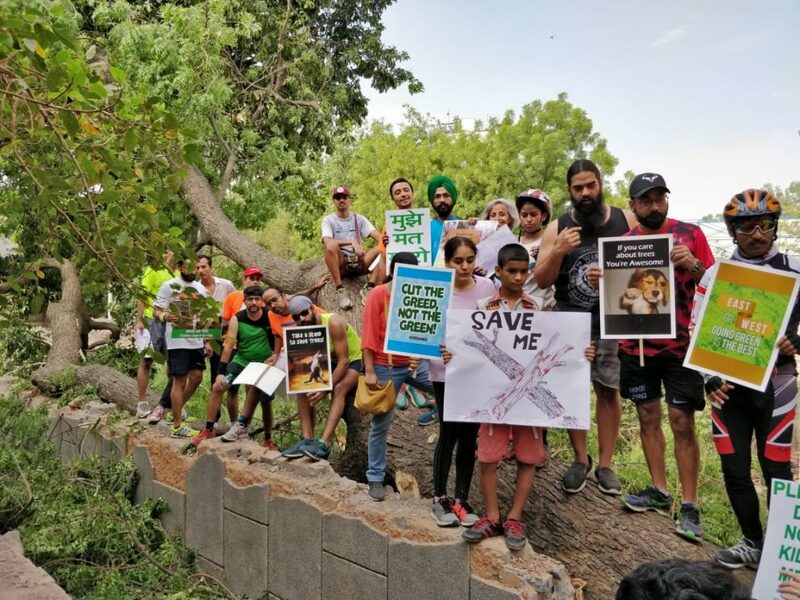 Please read this report from the Hindustan Times and this from The Hindu, both about the parlous state of compensatory tree planting in Delhi. It is simply not working. Saplings are not being planted, or if they are, no-one is caring for them. And then tell me that 3,100,000 saplings are the answer to our woes. And in conclusion – if this tree wall idea is for real, couldn’t these people have transplanted out beautiful mature trees there? Did that never occur to them? As I said at the outset, the left hand doesn’t have a damn clue about what the right hand is doing. And these clever creepers only go for the kikar, I suppose?